By Caz | October 30, 2018 | This post may contain affiliate links, which means we may receive a small commission, at no cost to you, if you make a purchase through a link. Read our Disclosure. The church spires poked up above the trees, their shelled out sandstone windows lit up by glowing lanterns. Above the full moon glowed, offering us more light than I would have hoped, but a tad more eeriness. 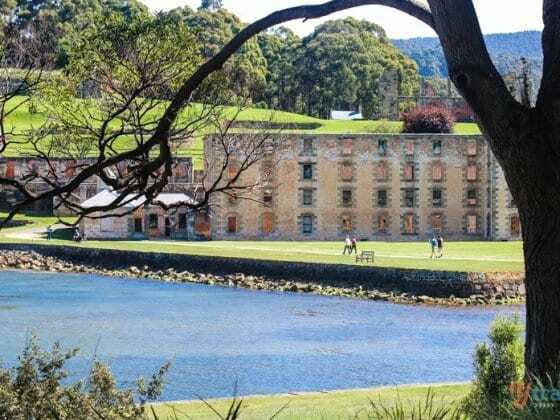 Our small group set off across the paddock to the first crumbling ruins for our first ghostly tale in the most haunted place in Australia – we were on the Port Arthur ghost tour. Like my children when they are told they can have chocolate, I almost jumped up and down and giggled as I was so excited. Tell me more. I want more stories, I want a ghostly encounter. 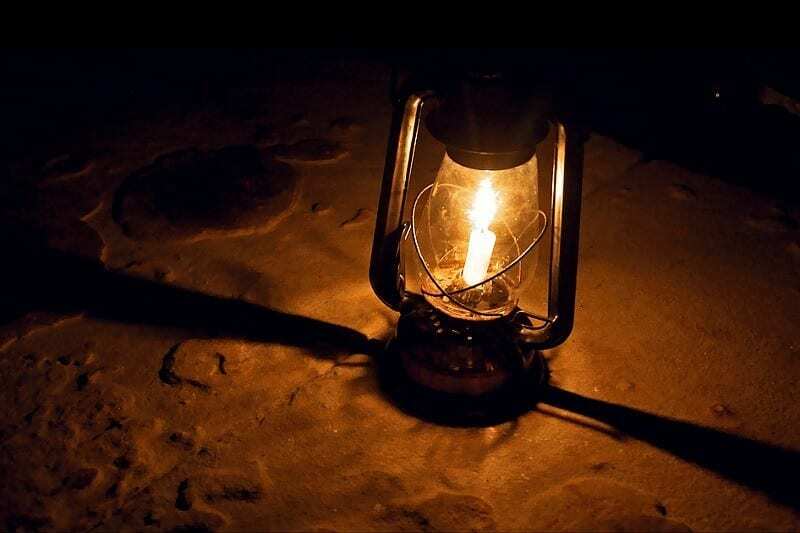 I regretted not putting my hand up to be a lantern bearer, when the lead lantern bearer was sent to open cottage doors, warn the ghosts that we were coming and meant no harm, and be the first to enter the pitch dark, haunted buildings. The parsonage house is known to be in the top 5 haunted houses in Australia. It’s not a convict prison as you might expect, but a cute pumpkin cottage that belonged to the reverend. His death wasn’t so traumatic that he’d have cause to haunt, but it was for his wife and 10 children who were no longer looked after by church or government and so lived a life of struggle. Is it the wife and children that haunt the property or the reverend himself? I LOVED the Port Arthur ghost tour. No one knows for sure, but the figure of a man has been seen outside the window with arm raised in stabbing strike motion, and a builder involved in the restoration awoke one evening to a heavy weight on his chest and the sensation of hands gripping his throat to strangle him. His two colleagues heard a commotion and walked in to see their friend in a convulsive state holding his neck and rocking back and forth. They used all their strength to try and drag him out of the house but could not move him…until the ghost let up. Our guide Marc was a gifted storyteller who had us so engrossed in the tales that we felt a part of them. He stood behind doors after he opened causing each person to jump as they walked through the door jambs after spying a dark figure in a trench coat leaning against the wall. 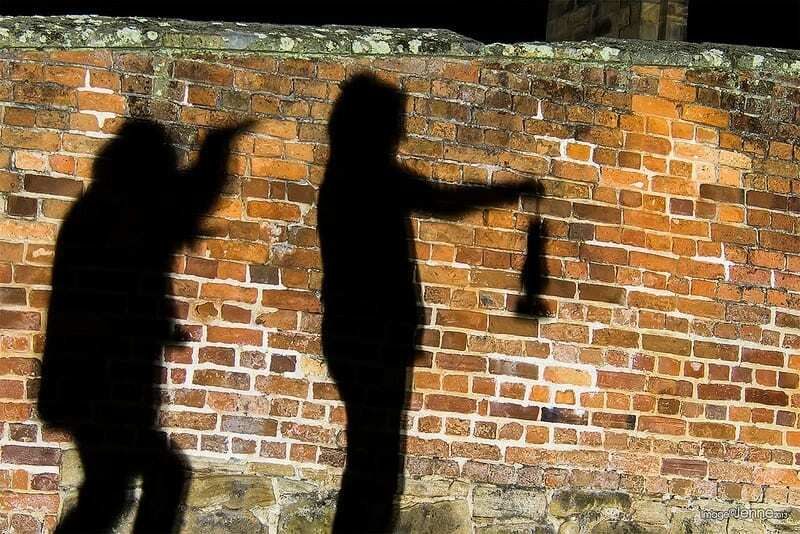 He enhanced the details of his story with loud bangs on walls and piercing screams of victims. We’d all jump and scream in return followed by fits of giggles. Each of us huddling just that little bit closer to our partners as we moved forward to the next haunted place to hear more ghostly tales. We ended our tour in the separate prison. 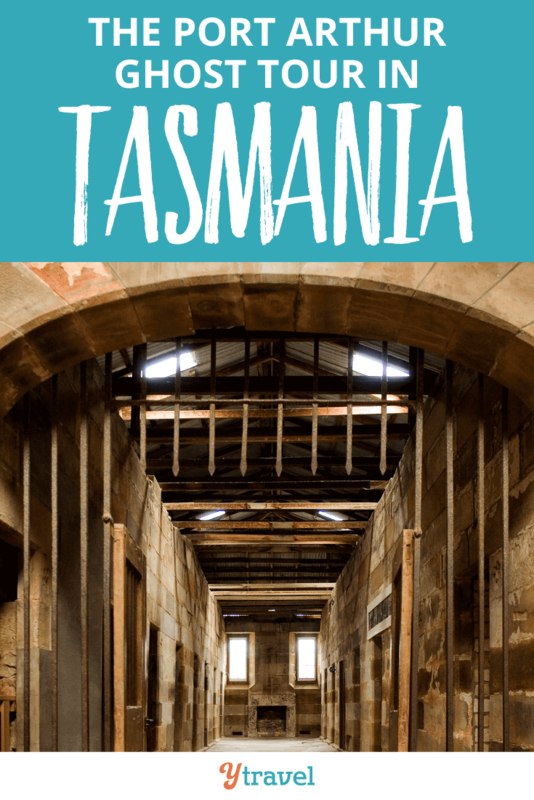 The place where a new form of punishment was on the convicts – an attempt to control the mind through isolation, solitary confinement and the removal of sensory awareness through sound-proof, light-proof cells. I felt the anguish and pain of the stories seeping out from the walls. What the living can do is far scarier than what ghosts can. We didn’t see, or smell, or feel any ghosts, but I was not disappointed. 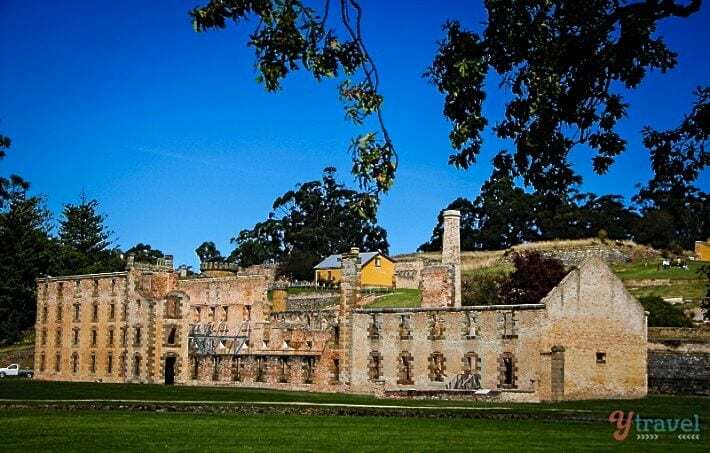 Not only did we learn about the hauntings at Port Arthur, 1,600 documented cases so far, but we learned a lot about the history of the convict settlement and the lives of those who once lived there. We giggled and had fun, Craig and I clung together like love struck teenagers again under the full moon. And we got to see another side to the beauty of Port Arthur under a moonlit night. I’d do it again in a heartbeat. I’m even considering next time I go on a grand search for the ghosts myself, tracking them with the equipment supplied on the paranormal tour hosted at the end of each month. A real Ghostbuster. That’s taking it to a whole new level. Or perhaps, as I suggested, if they follow you home. A little girl has sometimes been known to, Marc told us. Craig and I checked our back seat and the rear view mirror a few times on the drive home. But once again, it was not the dead we had to worry about, but the living – the wildlife that appeared from the bushes at the edge of the road at night time, ready to dart in front of our car at any moment, threatening to send us to become residents of the most haunted place in Australia. 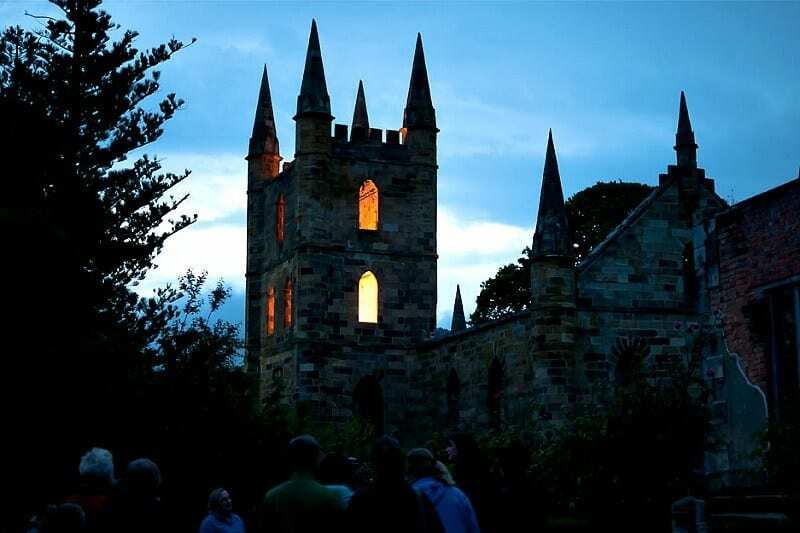 Currently, the Port Arthur ghost tour operates daily from 7.30pm and runs for about 90 minutes. Bookings are essential. Grab your ghost tour tickets here. Click here to book your stay. You get free cancellation on most rooms and a best price guarantee. 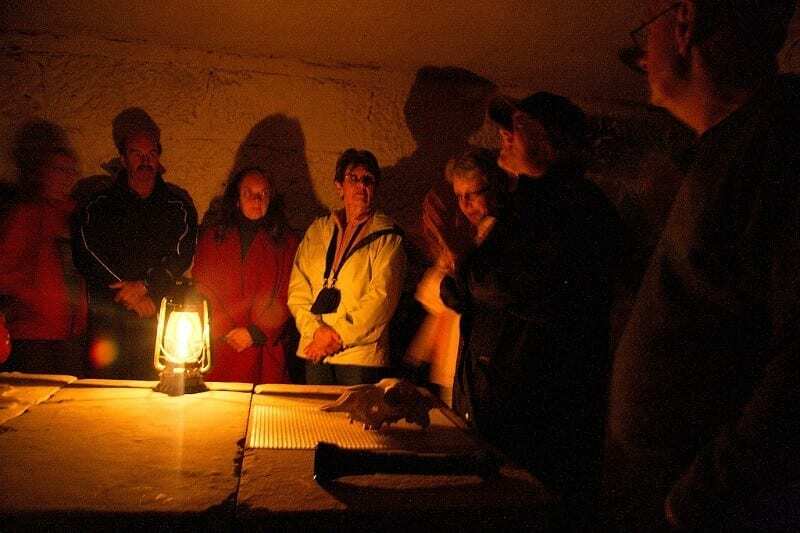 What do you think of ghost tours? This sounds amazing! 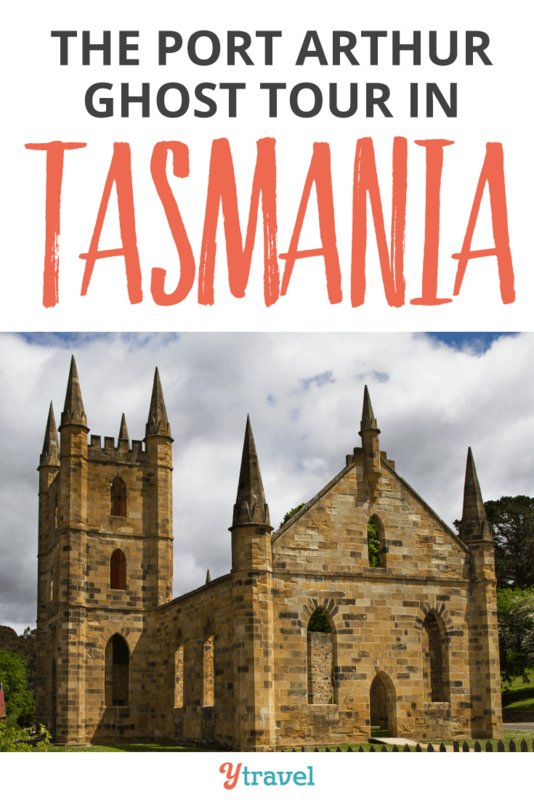 I was in Tasmania in early 2013 and went to Port Arthur. I didn’t have long enough to stay for this and I’m regretting it now! 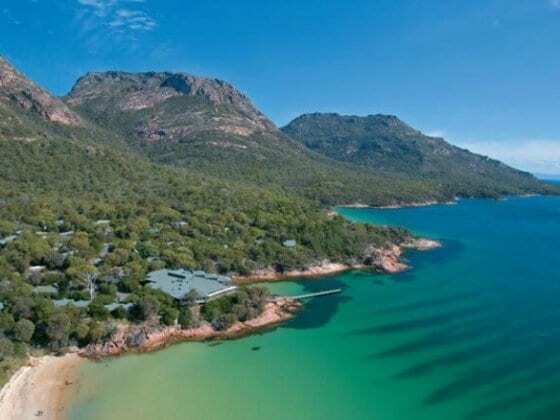 After the trip around Tassie I knew I’d have to come back though so I’ll add this to my list. Tassie took my breath away! It’s incredible. IT’s such a beautiful state. It’s really worth doing this tour if you come back. I’d do it again for sure. I’m determined to meet me a ghost! Loved this! I must say I felt a bit spooked myself. “It’s not the dead you have to worry about, it’s the living.” So true. I’m thinking about visiting/photographing an abandoned psychiatric hospital in Korea later this month. maybe It’s not the dead we have to worry about, but the looney dead. Great post Caz! Oh that will be soooo cool! I say go do it. That is frightening … I have never seen any ghosts before, but so many people have had encounters that you figure some of them must be true…! Yes. When you hear the tales on this tour as well, you become more of a believer.